"What if I told you I could get you to fall in love with me…?" Warner Bros has debuted the first trailer for a romantic drama titled The Sun Is Also a Star, the latest from director Ry Russo-Young (Nobody Walks, Before I Fall). Adapted from the novel of the same name, the film is about a young woman who falls for a sweet-talking charmer on the day before she is to be deported back to her native country of Jamaica. 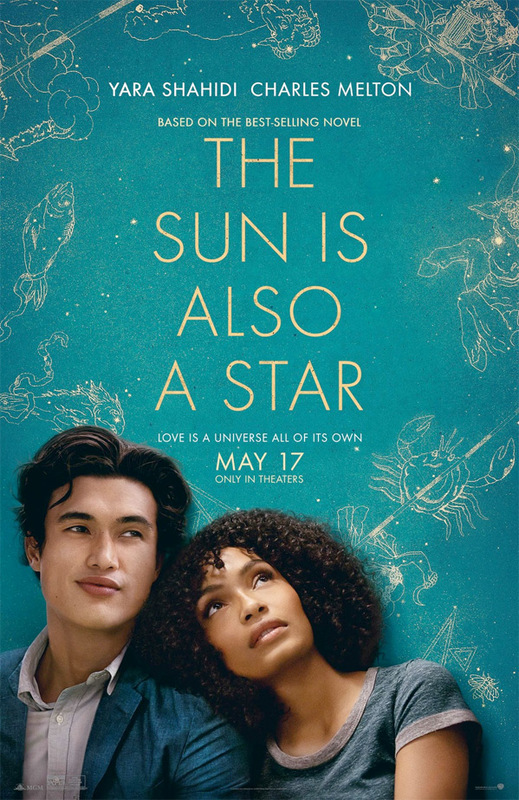 Set in New York City, Yara Shahidi (from "Black-ish" and "Grown-ish") stars as Natasha, and Charles Melton as Daniel Bae, the guy who woos her. Also starring John Leguizamo, Hill Harper, Gbenga Akinnagbe, Camrus Johnson, Jake Choi, Keong Sim, and Cathy Shim. This looks like a gorgeous film, and I dig all the nerdy science and space talk in this. Might just be a winner based on the footage in here. Take a look. College-bound romantic Daniel Bae and Jamaica-born pragmatist Natasha Kingsley meet—and fall for each other—over one magical day amidst the fervor and flurry of New York City. Sparks immediately fly between these two strangers, who might never have met had fate not given them a little push. But will fate be enough to take these teens from star-crossed to lucky in love? With just hours left on the clock in what looks to be her last day in the U.S., Natasha is fighting against her family’s deportation as fiercely as she’s fighting her budding feelings for Daniel, who is working just as hard to convince her they are destined to be together. The Sun Is Also a Star is directed by American filmmaker Ry Russo-Young, director of the films Orphans, You Wont Miss Me, Nobody Walks, Before I Fall, and Nightlife previously. The screenplay is written by Tracy Oliver; it's adapted from Nicola Yoon's novel of the same name. Warner Bros will release Ry Russo-Young's The Sun Is Also a Star in theaters everywhere starting May 17th this summer. Curious?